And Your Name to all generations. Look at how the Psalmists take to heart the Word of Yahweh. Here is another Psalmist praying through God's words in Exodus 3:15. Everywhere in the Psalms, the Psalmists call on God's everlasting Name and pray for God's Name to be remembered down through the generations. They truly love the SHEM of Yahweh. 1. 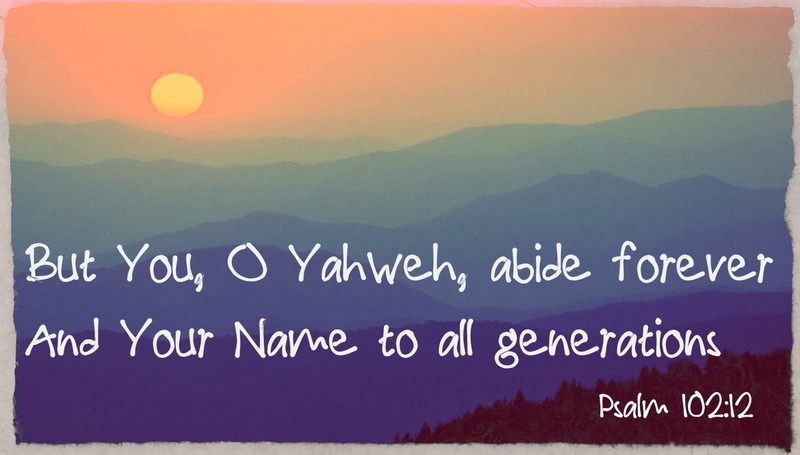 That Your Name, O Yahweh, abide forever. 2. That You Name, O Yahweh, be remembered through all generations. Today, let's invite our children to call on God's Everlasting Name together. In this way, God's Everlasting Name will be treasured and remembered in our generation onto the next generation.